Spreads from the award-winning viewbook for the "You, Unlimited" undergrauate recruitment campaign by Webster's Global Marketing & Communications. 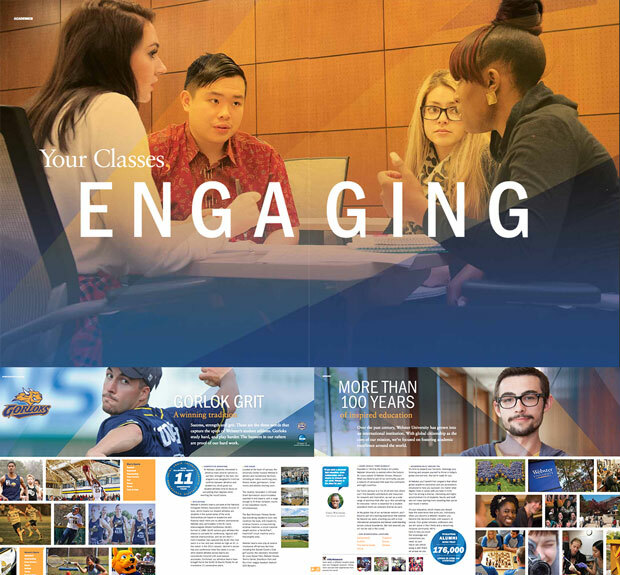 Webster University won several collegiate advertising awards from Higher Ed Marketing and the Collegiate Advertising Awards in recognition of a variety of 2016 marketing, communications and fundraising initiatives. 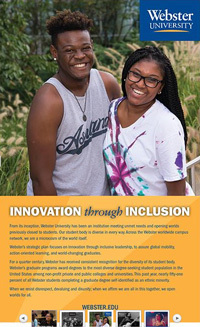 Webster received honors for undergraduate recruitment, diversity and inclusion advertising, social media, and alumni and faculty/staff fundraising campaigns. These campaigns were launched and conducted by Webster's Global Marketing & Communications, and Advancement units. Advancement's calendar year-end fundraising campaign was recognized for digital and print mailers sent between November 2016 and January 2017 to specific alumni, young alumni, and faculty and staff distributions. View more sample pages from the recruitment viewbook developed by Global Marketing & Communications here. Print ads on "Innovation through Inclusion"
"Cooking Up a Quality Education"
The "Cooking UP a Quality Education" video was a specific social media play, responding to the early 2016 trend of snappy cooking how-to videos that were being shared widely on Facebook. 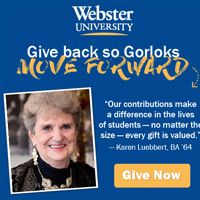 Staff members in Global Marketing & Communications collaborated on an idea to shoot such a video with a higher education theme, emphasizing the value and quality of a Webster degree.